POLYRACK TECH-GROUP is the leading German manufacturer of packaging solutions for electronic equipment. 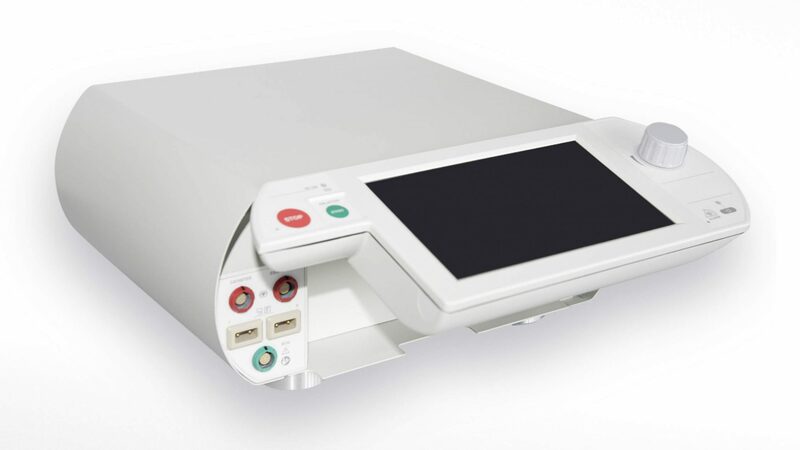 The company produces both standard and customized electronic packaging systems, including subracks, cases, industrial PC applications, and plug-in-modules. Customers use POLYRACK products in the communications, broadcast, security, defense, transportation, utilities, and medical industries, as well as in test and measurement environments. POLYRACK has used SOLIDWORKS® design and electronics cooling simulation tools for several years to make its development processes more efficient. Recently, POLYRACK identified the need for a new design solution for quickly modeling design concepts to support faster proposal development as well as a means for improving collaboration with global customers. Using SOLIDWORKS Conceptual Design software, POLYRACK has streamlined the development of early design concepts, resulting in a shorter sales cycle, less development time, and faster time-to-market. Knab signed up for the SOLIDWORKS Conceptual Design Lighthouse Program, which provides the opportunity to use the software in production as part of prerelease testing. “Creating early 3D concepts to support proposals can take a couple weeks using traditional CAD,” Knab notes. With SOLIDWORKS Conceptual Design, POLYRACK not only has realized time savings during initial conceptual design but also throughout product development, helping the company enjoy a 10 to 20 percent reduction in time-to-market. “SOLIDWORKS Conceptual Design enables us to make design decisions faster,” Knab explains. 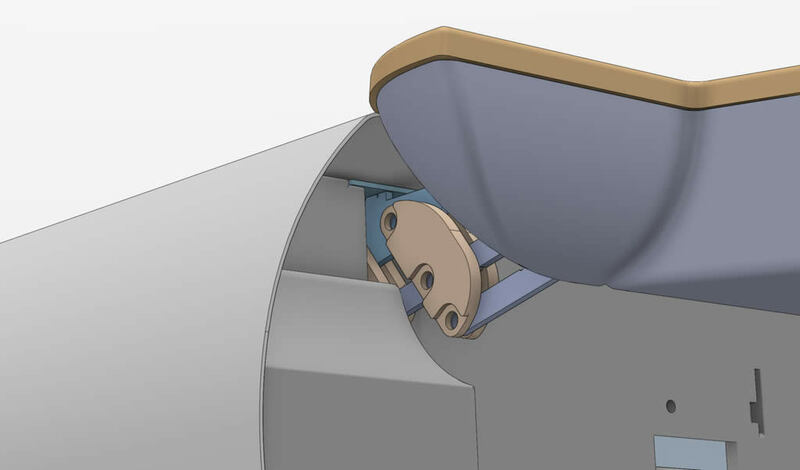 In addition to supporting faster conceptual modeling, SOLIDWORKS Conceptual Design facilitates downstream steps by providing dynamic motion and structural simulation tools from within the 3DEXPERIENCE platform and by supporting faster, easier design changes through the software’s Direct Editing capabilities. For example, on the design for a new hinge on a control panel cover, POLYRACK was able to fulfill a customer request for special motion, using simulation tools to optimize performance during initial conceptual design. With SOLIDWORKS Conceptual Design software, POLYRACK has improved collaboration and communication with customers, leading to faster approval of concepts and quicker decisions on prototypes. POLYRACK has realized time savings through the social collaboration capabilities of SOLIDWORKS Conceptual Design, which provides a running, blog like tally of a design concept’s progression within a specific online community comprising POLYRACK, customers, and partners. 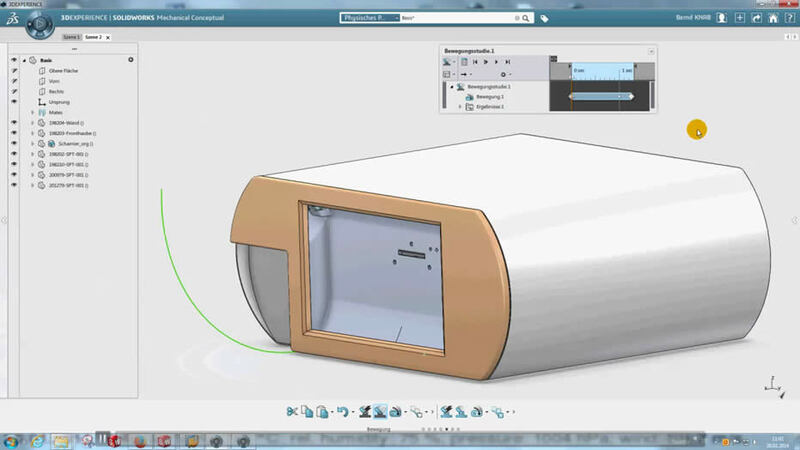 With SOLIDWORKS Conceptual Design software, customers can access, review, comment on and approve designs—as models, images, or animations—via the web. The fast, ready, and secure access to Conceptual Design data improves and accelerates collaboration with customers anywhere in the world. Streamline the development of initial concept designs to shorten the sales cycle, compress development time, and accelerate time-to-market. Implement SOLIDWORKS Conceptual Design software.